Nothing says summer like an adventure with friends. To that end, we’ve gathered some of the best travel-inspired stories, guides and adventure-themed books with the help of Rona Sue London from The Ivy Bookshop. 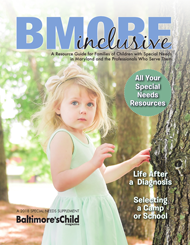 You won’t even have to leave the comfort of your favorite hammock or porch swing! Our story follows Little Bunny as he ponders all of the various modes of transportation available when taking a trip. 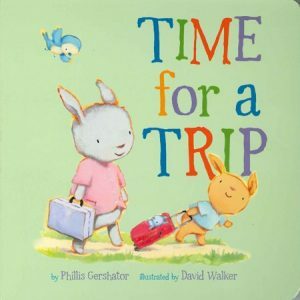 Come inside this whimsically illustrated story to learn where Little Bunny and his family eventually decide to travel and whom they choose to visit. Cheerful artwork in a soft, primary color palette along with simple rhymes and smiling characters help to tell the story. 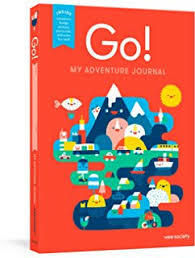 The perfect first travel journal for any young explorer, this book contains postcards to write and send, pages for coloring and customizing, stickers for decorating and keepsake pouches for photos and mementos. Thick, glossy pages make this the perfect book for small hands to hold while flipping pages or drawing. Prompts on several pages help young world travelers notice, jot down or draw the cool things they see or experience along the way. Ideal for ages 3 to 8.
Who doesn’t love receiving mail? 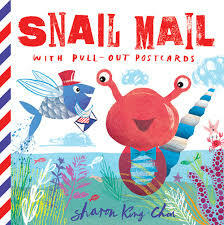 Sam the Seashell Snail is too young to join his big brother Tiger on a surfing expedition, so Tiger does the next best thing by mailing postcards from the various countries he visits. Lift-the-flap envelopes reveal real pull-out letters that tell of Tiger’s surfing adventures. 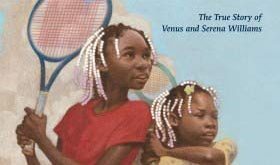 A touching story detailed with colorful, whimsical art and authentic letters that are sure to captivate and delight young readers. It’s a creative way to showcase the special gift and power of written correspondence. 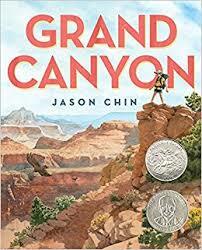 One of the most visually stunning books we’ve ever seen, this powerhouse of a book mixes captivating, extraordinary drawings of the Grand Canyon, geology factoids and a tour of the various plants and animals that inhabit the canyon as well as some of the secrets and clues that each layer holds. Our tour guides are a father-daughter duo as they hike into the Grand Canyon, sharing with us everything they experience and learn about this majestic wonder of the world. This awesome book is a marriage of cartoons and narration, which is a fantastic storytelling recipe, especially for kids who traditionally don’t feel they are strong readers. New York City comes alive, as Pablo finds himself on the wrong side of the subway tracks, derailing his first school field trip. But it’s all for naught. 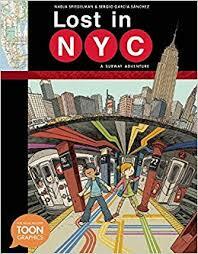 Our subway adventure guide contains maps, tidbits and historical information about famous buildings and landmarks that dot the various subway lines, thus allowing readers to navigate the subway system and watch as Pablo learns the ropes as well. What kind of adventurer are you? Meet the three main characters, all with different personalities and interests, and see which adventure style you identify with. This pocket-sized book is the perfect companion to toss in your backpack. 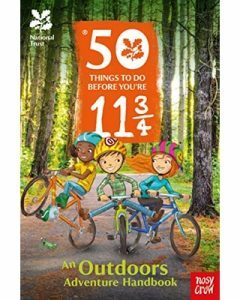 Doodle in it, take notes, and use the handy suggestion lists to help you experience your best outdoor adventure season ever. With the untimely passing of Alex’s father, coupled with his mother’s depression and an absentee brother, Alex is left to his own devices. 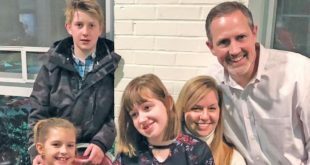 Fortunately, he has a reliable internal compass, allowing him to naturally gravitate toward a mix of people who grow to love and care for him. For an 11-year-old space-obsessed boy who can’t quite figure out where he fits in, a journey to a rocket convention provides ample opportunities for self-reflection. Themes such as the power and strength of family, love and acceptance, loss and being found and who you are and what constitutes your tribe are woven throughout this sometimes poignant, often humorous story. 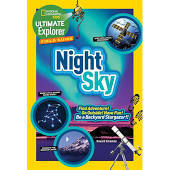 This easy-to-read, educational book makes stargazing and sky exploration easy to understand, fun to do and accessible to anyone. 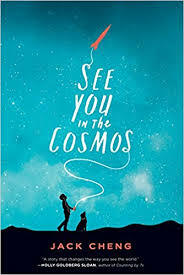 Chock full of colorful illustrations, descriptions and scientific terms and complete with a little history behind the constellations, this book will inspire your kids to get outside, look up and explore the night sky. 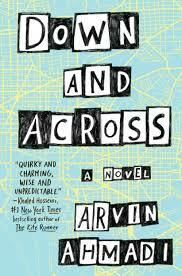 For any young adult who has worried (or obsessed) about what the world has to offer after high school, this coming-of-age story is for you. Saaket “Scott” Ferdowski has been sent to the U.S. by his Iranian-American parents for an internship opportunity. Yet, once away from his parents’ watchful eyes, his curiosity and desire to seek out his own destiny leads him on an unexpected adventure, together with a new cast of friends, new interests and decisions to be made. 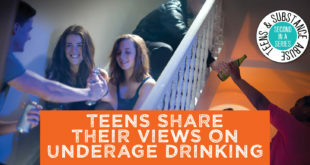 or in your free time.